Harry’s horcruxing wouldn’t have been nearly as exciting without Voldemort’s noseless threat, and Frodo’s plucky resilience wouldn’t have been as impressive without the Great Eye stalking his every step. Any cursory examination of myth and human storytelling will show that we’re hardwired to need adversity. It’s literature echoing a universal truth of life. Can’t have darkness without light, can’t have good without evil. The concept transcends literature too, sneaking into other aspects of our lives like a 14 year-old into a R-rated film. We build conflict where there need not be any – rival sports teams, preference for a certain brand of electronics – because having an enemy gives us a cause to unite against. The antagonist exists to be overcome, to give the hero’s struggle and journey meaning and purpose. The story of “craft” beer is no different. Joseph Campbell argued that the role of the monomyth was to further the “maturation of the individual.” We’re seeing that unfold live, as Americans undergo a series of gustatory revelations. People are using beer as a cultural vehicle to ween themselves off the dependency of traditions, to strike out into brave new worlds of their own design, to develop unique identities. They are, in a way, trying to mature through beer, an irony not at all lost on me. But for the mission to succeed, for beer to descend into the underworld and emerge anew, it needs a clear and obvious nemesis. Hint: it’s not because it defines its fans and gives us societal validation. It’s the exact opposite. “Craft” creates a context of what we are not, and as a result, identifies our story’s main antagonist. It’s all very archetypal so far: under the freshly drawn line in the sand we see phrases like “independent,” “quality,” and “flavor” – superlatives to keep our hero’s motives pure. On the mirror side of the line, we see phrases like “adjunct,” “mass produced,” and “corporate” – pejoratives we toss around to keep our enemy alien and faceless. This beerish tale was born from the desire for change, and we built our monsters from those who refused (or, those we convinced ourselves refused). We picked the most obvious target possible, the one who appeared to be counter to all our values and beliefs. It doesn’t help that Budweiser rocks the “King” moniker, further feeding the idea of a repressed citizenry overthrowing a cruel monarchy. But I have met the enemy, and he is us. There is a Star Wars fan theory that the Empire was not building a massive fleet of planet-destroying weapons for the purposes of galactic oppression, but instead to defend the entire galaxy from a coming invasion. When you flip perspectives, you see that our protagonist – you know, the one we paint as fair and just and wholesome – is actually a bad guy (or in the case of the Rebel Alliance, a terrorist group). It’s entirely possible smaller breweries used the underlying negativity towards corporations in this country as a tool to further their own agenda. Sam Adams and Sierra Nevada may be moving towards the building of their own economic Death Stars. Without all the cards on the table, that line between good and evil in this story is surprisingly blurry. I don’t mean to get sympathetic, nor apologetic. A brand that makes $22.3 billion a year doesn’t need defending. But I saw Anheuser-Busch this weekend, for the first time, as people. In my mind they had always been the archetypal shadow-self of good beer, a soulless machine hell bent on money and efficiency. Confirmation bias in the echo-chamber of craft beer kept them monolithic, inhuman. I drank the craft Kool-aid, and forgot my Joseph Campbell. My bad. No really, my bad. I aim to remain far more objective than I have been. Ultimately, the story relies on AB (and MC and the others) to have any credence or purpose. Without “adjunct pale lager” to rail against and hold up as a point of negative comparison, how could we have established baselines for what new, fresh, “good” beer should taste like? From whence would IPA have risen if not from the flavor void of legion similar tasting lagers? It’s important to stay your knee-jerk bias. As much as we like to take swings at them, without them, our cause would not exist. I think the key is to keep perspective; the best world of American brewing exists somewhere between macro and micro. The two live a delicate life of culture and conflict, sometimes symbiotic, sometimes parasitic, but always reliant upon each other for existential validation. 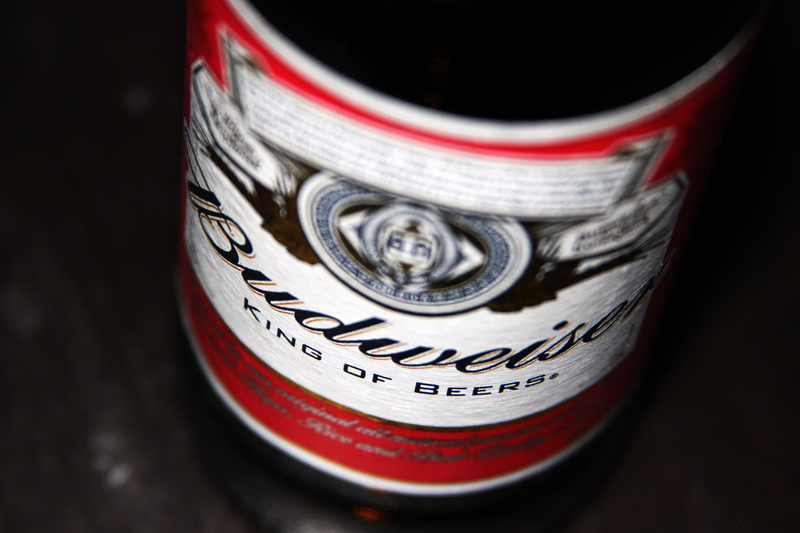 The beer myth isn’t finished yet, but I do know one thing: while Budweiser may not be the beer craft drinkers want, Anheuser-Busch is the antagonist they need. 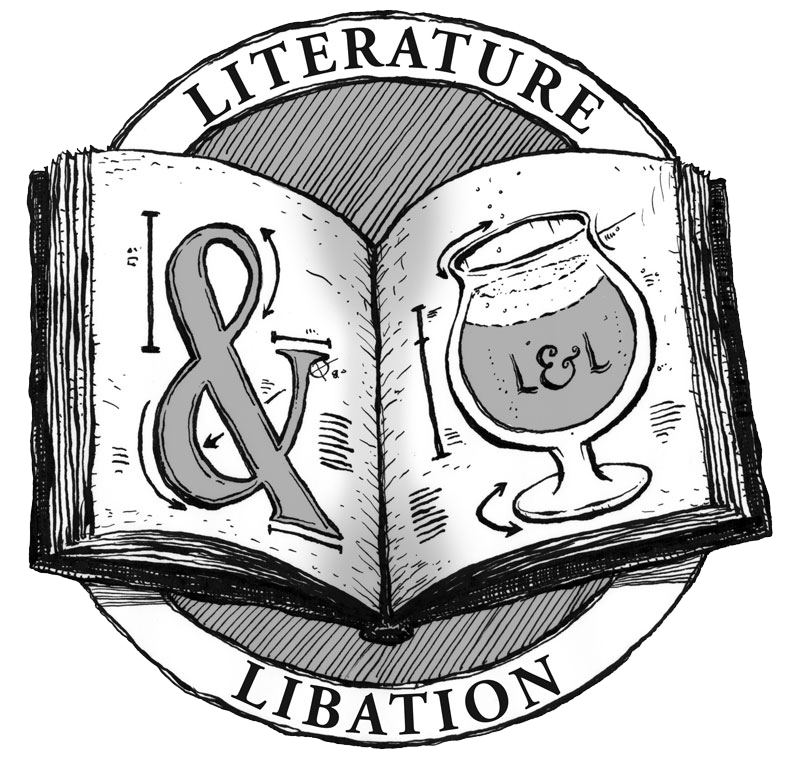 I love beer and literature. This is good stuff, I especially like the “happy medium” sort at the end about being between macro and micro. Also, a Missouri resident so I appreciate a MO company (even though I’m from KC). True. It all started simple enough, when craft beer first start and people asked, “What is it” we all would point to the BMC city and simply say, “NOT THAT!”. Then mobs started to form at the gates, and over time their anger grew. Pitchforks turned to bows, bows turned to catapults, and now somewhere in a secret bunker the Brewers Association is working hard to build a weapon of mass destruction with a detonator of Pliny the Elder and Bell’s Two Hearted. Best. Short story idea. Ever. As I’ve said for two (?) years now, much of the craft beer world has been having the wrong conversation. The issue is not one of quality. Of course AB Inbev can continue to make the “craft” brands it’s purchased just as good as it always has. Or not, should it so choose. And of course plenty of good people with talent and passion work for AB-InBev. Craft has reaped the benefits of many of these efforts by good people, including hop research, quality control research, etc. Yet, many small businesses have been the direct targets of AB InBev’s ability to literally control distribution avenues and materials supplies. Thus, there is quite the conundrum presented when trying to figure out how to view AB InBev. And we should not be surprised when they send an accomplished speaker out to a conference of bloggers/writers. Or when they cut a check to help sponsor said conference. A wise speaker once told me in my prior career – get out and get known, it’s much harder for them to vilify you that way. A true phrase in many contexts. Eyes wide open. That last sentence hits home for me. I’m not an AB apologist, but I’d gone too far down the craft rabbit hole. We’re being marketed, hard, by both sides. The smart hand would check and way for a call. I went down that same craft hole. (Man, that sounds bad.) “We’re being marketed, hard, by both sides” is an excellent way to put the revelation it represents. It helps bring back critical thinking. You’re late to the party by about six years. Whereas in previous years, it was a giant known to throw hard elbows because of an extremely competitive drive coming from the highest levels, in 2015 InBev actually is “a soulless machine hell bent on money and efficiency”. Well the important thing is you’ve found a way to be correct on the internet. Great article. You’ve summed up quite eloquently exactly what I’ve felt for _at least_ the past 15 years. This is where you need to also apply some critical thinking as well, was it all just a dog and pony show? They are an incredibly predatory foreign company now, that’s always been my big issue with them. Ab-InBev will stroke their pets on one side, while attacking them on the other. They play that game so well, it’s scary. Clearly they are still up for whatever. Did craft need a common enemy, of course as the entire eruption of craft was always a “we are not this” movement. Now we are in an interesting field where craft is moving into a define what they are versus what they aren’t. Some of them are huge, some have started to act like big beer and gotten chastised for it. At this point though, they don’t need AB InBev anymore, people are already moving on. The only thing AB InBev is doing these days is keeping them from fighting each other so much. Of course it was a dog and pony show. We were at a conference. They were presenting. Best behavior and practices, all that. Does that make the reality of what they said and did different? Only if you’re approaching it with an equally unbalanced bias against. I think the critical thinking need go both ways; beer is a business, as much as we want to evangelize that our craft friends are the altruistic selfless solution to big evil corporations. It’s just not true. One of the reasons they’re not predatory is because they’re not nearly as big and don’t have the same resources. I wanted to start a discussion that maybe the us vs. them dialogue is a bit too hyperbolic, and I did just that. This conversation transcends beer, too. I see a lot of people rail against AB from iPhones while eating food sourced by Walmart owned subsidiaries. Corporations are not 100% evil. It’s not black and white. The more we discuss that, the better. A rather verbose elaborations on the obvious. Capped off nicely by a completely pointless comment.